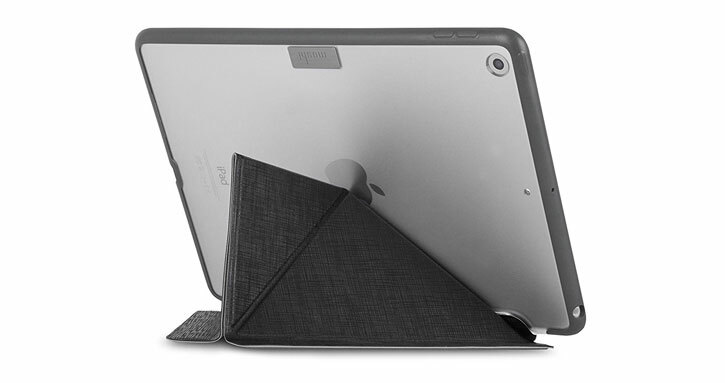 This unique stand case for iPad 9.7 2017 from Moshi in black features an innovative folding cover that doubles as a media viewing stand. The case also offers sturdy and complete protection thanks to a shock absorbing frame. 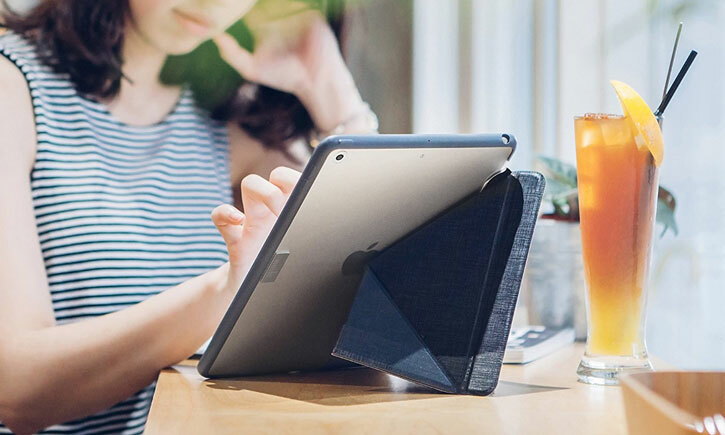 If you're looking for a case for your iPad 2017 which combines effortless style with a multitude of functions and features, then look no further than the VersaCover from Moshi. Offering great protection for your device as well as a form factor you'll want to show off, this isn't just a great case but a conversation piece, too. 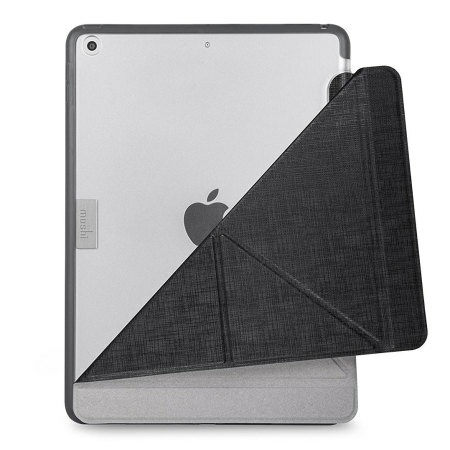 Inspired by the Japanese origami technique, this case's front cover folds in a visually appealing and idiosyncratic way to create a stand for your iPad - ideal for viewing media, video calling friends or reading a recipe while cooking, for example. 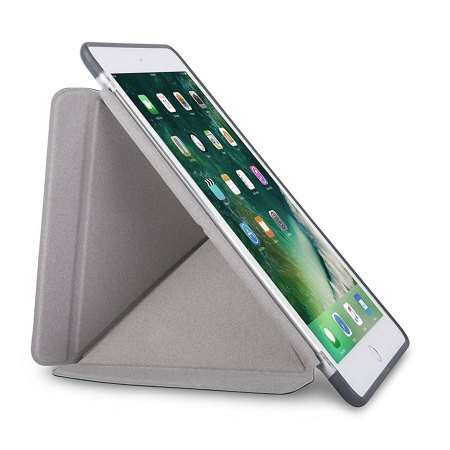 This case can be adjusted to stand at three different angles, each of which is ideal for a different activity - typing, reading and browsing. This isn't just a great-looking case, but an extremely useful one, too. All is not lost if you drop your iPad while in this case. The frame which holds your device is reinforced for superior shock absorption, meaning any impact suffered will disperse evenly throughout the case rather than being concentrated on one point and potentially damaging your iPad. Save power and spend more time doing the things you want with this case's automatic sleep / wake function. Simply open the elegant front cover and your iPad will automatically wake - close it again and your device will lock, ready to be awoken next time. 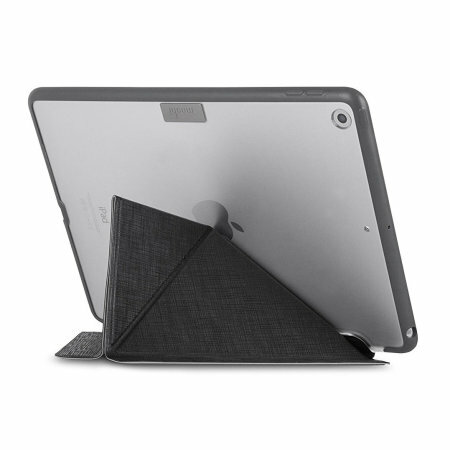 You don't need to worry about this case impeding usage of your iPad. 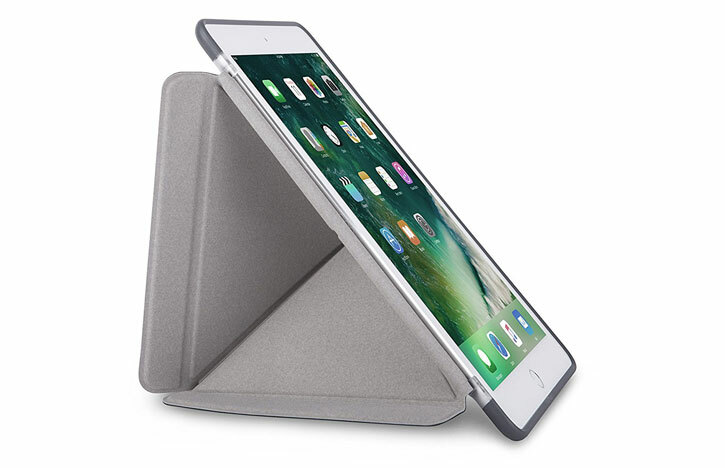 The form factor is slimline and sleek, meaning you'll barely even notice the case is there while you're using your device - until you need the stand function or drop your iPad, of course. 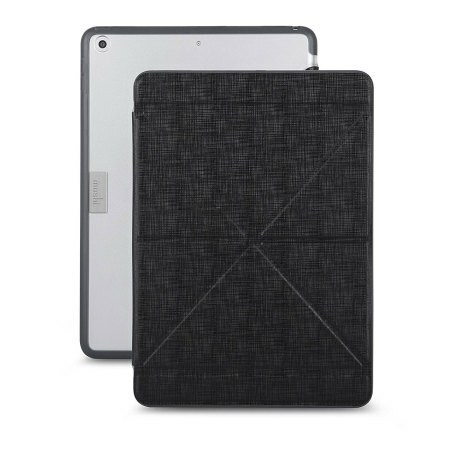 As this case has been constructed specifically for the iPad 2017, you can be sure of full access to all features and functions of your device - including the charging connector, volume keys, power button and more.